Former Chief of Sherman Police Department Eric Smith has been a Special Olympics volunteer for 11 years. He has been an invaluable asset to not only the athletes of Special Olympics Illinois, but Special Olympics athletes around the globe. He has given generous amounts of time to the organization while serving his community through his law enforcement responsibilities. For many years, Eric served an integral role within the Law Enforcement Torch Run (LETR) Committee, gladly accepting new responsibilities. In 2011, he was called to lead the Illinois program and serve as the state’s Torch Run director. 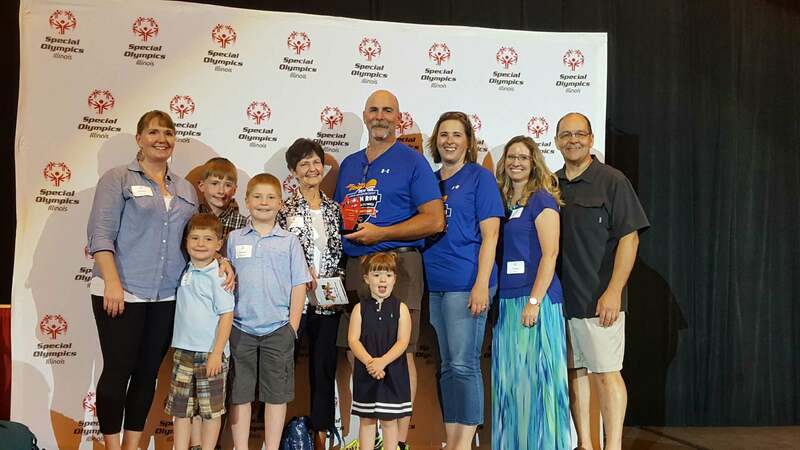 Under his leadership, the Illinois LETR soared to new heights in terms of fundraising and creating awareness for Special Olympics. Through Smith’s direction and leadership, the Illinois LETR raised $3 million in 2013, and raised more than $4 million last year. 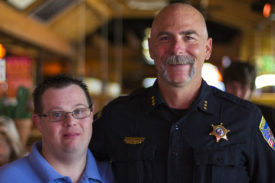 Smith takes pride in making sure the law enforcement community puts forward their best effort for this program, so that the Special Olympics athletes are afforded the opportunities to demonstrate their abilities. It has been Smith’s personal goal to have law enforcement from every corner of our state embrace the Torch Run as a year-round movement, rather than a week-long run. One of the highlights of Smith’s involvement with Special Olympics was that he was selected as a Law Enforcement Torch Run Final Leg Runner for the 2015 World Games in Los Angeles. For two weeks, he ran the Flame of Hope throughout California. Eric noted that “the camaraderie and being that close to the athletes and running with them, seeing the communities cheering you on as you ran – you can’t really explain it, you’ve just got to experience it.” He is also a key organizer for the Springfield Dunkin’ Donuts Cop on Rooftop event and Texas Roadhouse Benefit lunch. Smith says that Special Olympics has been the most rewarding experience that he and his wife have been involved in. His daughter Ashley has also become involved with the Law Enforcement Torch Run in Kansas. “Perhaps the greatest thing I can say about Eric is that if you were to ask him, he would genuinely rather see others be honored with this exceptional award,” said Smith’s nominator. He is well-deserving of this recognition not only for the impact he has made, but for the smiles that the Torch Run creates.